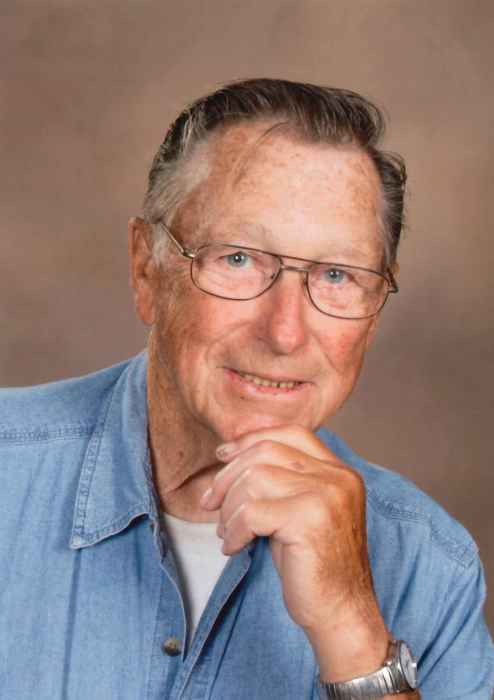 Eugene “Gene” W. Kaiser, 78, of Amery, Wisconsin, Apple River Township, passed away at his home on Wednesday, December 05, 2018 with his loving family at his side. Gene was born on February 10, 1940 in Minocqua, Wisconsin the son of Fred and Hazel (Penard) Kaiser. Gene leaves to celebrate his memory: wife, Joyce, Amery, WI; daughters, Kathryn (Perry) Franzen, Balsam Lake, WI; Karen (Andy) Kaiser, Arvada, CO and Kristine (Craig) Steinman, White Bear Lake, MN; 11 grandchildren, Jenifer (Andtre) Hamlin, Daniel (Patty) Schuette, Sarah Schuette, Rebecca Schuette, Kelly (Khue) Le, Michael (Christina) Thornhill, Kylie Midyett, Nadia Moak, Davi (Scott) Carlson, Evan Steinman and Erin Steinman, 17 great grandchildren, his sister, Joan Norland, nieces, nephews and other loving family and friends. He was preceded in death by his parents, Fred and Hazel Kaiser, brother, Dale “Jerry” Workman, his daughters, Connie and Mary and 1 great granddaughter, Kaia. A Celebration of Life will be held on Saturday, January 26, 2019 at the Holy Trinity United Methodist Church, Centuria, WI at 11:00 A.M. Visitation will be held at the church beginning at 10:00 A.M. Please join the family for lunch and fellowship in the church fellowship hall following the service.